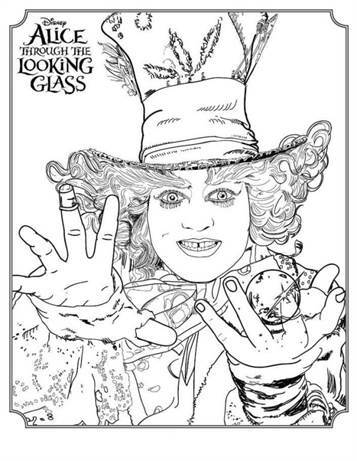 Coloring pages of the Disney movie Alice Through The Looking Glass, the sequel of Alice in Wonderland. Alice Kingsleigh has spent the past three years following in her father's footsteps and sailing the high seas. Upon her return to London from Asia, she comes across a difficult decision that may determine what she's going to do during the rest of her life. 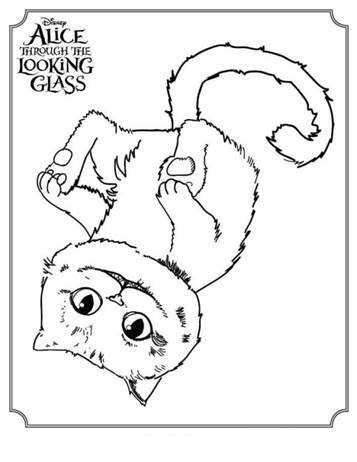 After re-encountering Absolem, she finds a magical looking glass and returns to the nonsensical realm of Wonderland. 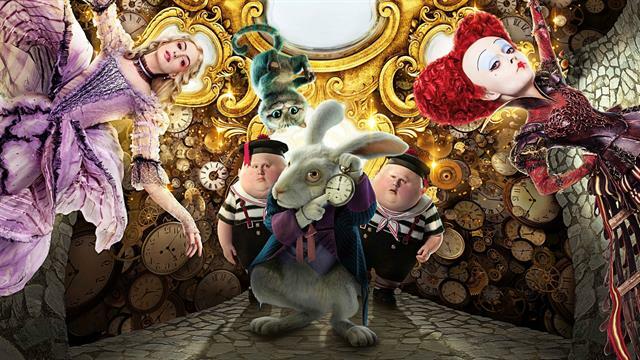 Alice discovers that things are going very wrong with the Hatter, who is now acting madder than usual, haunted by past events that he refuses to reveal. 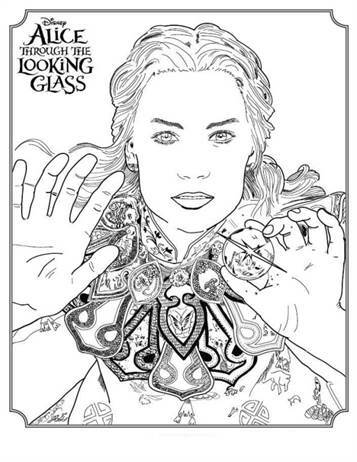 In order to prevent a heartbreaking end to her friend, she turns to Time himself. 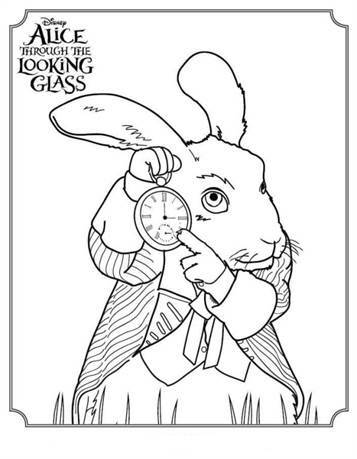 Despite his warnings about Alice not being able to win a race against time, and not being able to change the past, she borrows the Chronosphere, a time device that everyone (including the now banished Red Queen) wants, and winds up returning to the past. 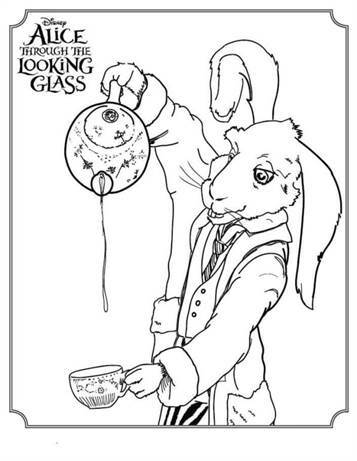 As Alice witnesses the hits and misses of friends (and enemies) during their lives, discovering how it prompted them to their current states in the present, she may learn how to solve not only the problem with the Hatter, but her own back in London – but only if she can win the race against the ticking Chronosphere.